Pittsburgh is pulling a lot together slowly, questing for one key item after another. As those pieces assemble it could unlock a lot of potential. Asked whom he will keep and who will go, [McLay] believes it will become clear whom to keep as he tries to make changes in the bureau. That strategy is proactive rather than reactive. It goads the police as an institution to desire to do their jobs a little differently, since civilizations and governments have already ceded to them so much authority to manage their own mission of service and protection. Public Safety Director Bucar’s immediate determination to address perceptions and symbolism through uniform further reflects that emphasis on elevation. Are these voices on to something? Is City leadership pulling off a cultural shift powerful enough to alienate or threaten a more traditional establishment? The bike lane offensive provides some support. The new protected bike lanes, drawing the conference, endorsing this Better Bikeways plan, a new Bike/Ped Coordinator architect, bike lanes on bridges, bikes at the Airport, public art bike racks — it’s safe to say the administration is going “all in” on two wheels. Well-designed bike lanes can actually improve vehicular traffic flow. Cyclists are sharing such data because motorists in some cities are more likely to be acquainted with stables and blacksmiths for horse commuters, than protected lanes for adult cycling. Are the City’s new protected bike lanes well-designed? There is some grumbling. How much of it is valid? It is not uncommon for the roll-out of new software to come with a few bugs. But the first rounds of adjustments had better work. On the executive “use of force” spectrum between draconian autocracy and parliamentary talk show hosting, this one falls closer to the former. It is interesting to reflect on for what, whom and when politicians pull out these guns. Do you imagine the Peduto administration with all its cycling cattle prods is likely to put very many more police officers on bikes? Will cops who take heartily to pedaling a beat see their prospects improve? And what are best practices for bicycle patrols? Back to our political shift. Essayists like to list examples in threes. My third will likely be the Produce Terminal Redevelopment in the Strip District. Do you think Rubino will be the chosen developer for exclusive negotiations? I have a hunch it will be Rubino, with its crazy wild innovation-market exposition hodgepodge, never mind the easy lure of more expensive housing. That would drive The Man crazy! Or we might see a shotgun wedding. UPDATE: Yes in fact, the URA appears set to select McCaffery and Rubino. And so it goes. The energies of a traditionally cramped Downtown swelling out towards the Strip District are the same that have precipitated Mayor’s announcement of “Transformational Plans” for the Hill District. The Hill of course is a lot more complicated. There is a lot of history with which to reckon, and a lot of parties holding the keys to collaboration. Can you imagine trying to manage the recreation of such a traumatized neighborhood under the glare of a red hot Golden Triangle? Somewhere out there, beneath the DoubleTree sign, some part of the Expressway ditch could be spanned with a park in time. Somewhere dahn there, near 7th and Liberty, some day we might look east and be lured straight up Wylie. But even if that connective tissue is mechanically and fiscally viable, will it make any practical sense? The first thing a sojourner from Downtown would encounter over a land bridge is what is now a parking lot where the Arena used to be. Plans have been circulated by the Penguins, but rarely remain in circulation. The Comet questions whether the hockey team’s designs will accentuate what we all hope to be a dazzling east-west corridor, or clash. And will the architecture resemble the SouthSide Works, the North Shore and XFINITY Live! Philadelphia, or will it be something more akin to a real life human city with skin cells a pulse? Now that there is a strategy, Peduto and co. are giving the Penguins another extension on their development rights. Well and good, but one of these years on general principle we ought to claw back a parcel if they fail to satisfy a deadline. Just to prove that we are serious in our negotiating processes, and to experiment. The Hill District Consensus Group appears ill-disposed towards the launch of the new strategy. The Hill CDC has been reserved, although they will be hosting a public meeting with updates on Tuesday. Councilman Daniel Lavelle is on board. The Comet knows of no link to the signed agreement. We surmise that officials might have staged the ceremony in part as an attempt to score the federal TIGER grant, though it’s clear the strategy did change. As city planners struggle to foster a socially equitable Lower and Greater Hill, some residents will get frustrated with the compromises. Political leaders will feel that as more urgency to address priorities for Black Pittsburgh such as police brutality and early childhood education — which now, it turns out, includes Pre-Natal care. A taste of the parking action or the inspired allocation of tax increment proceeds would help certain neighborhoods, too. A coalition is manifesting among new, young and educated Pittsburghers who seek livability and efficiency; enterprising and ambitious Pittsburghers who appreciate it when friction and larger obstacles to growth dissolve; and poor and minority Pittsburghers who have long been ill-served but are still eager to engage the system when it demonstrates conviction. 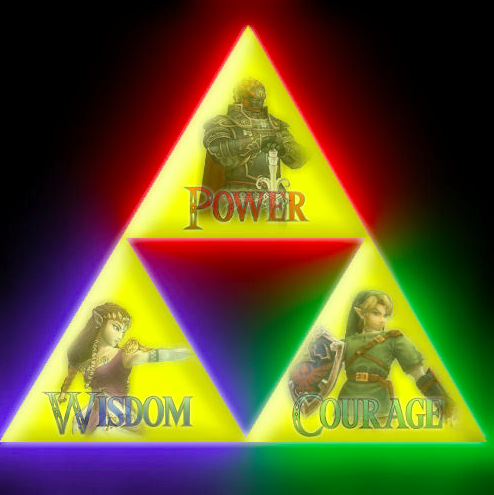 This is the Triforce after which our Mayor is running errands across land and sea. Activating it can overcome a lot of adversity. Right now Peduto needs the Red Candle, and some Rupees. There is a meeting with State financial overseers next week. Onlookers will be reminded that not everybody gets impressed just because yinzers are optimistic and getting along tolerably well. This entry was posted in Uncategorized on September 11, 2014 by Bram Reichbaum. The Penguins’ plan for the Lower Hill has improved a bit over recent years. Obviously it remains to be seen how it is executed, but the basic elements are there for an attractive, urban, accessible neighborhood. I just hope the announced number of units and square footages are floors and not ceilings. Brian (or anyone else) can you remind me if there is any zoning in place for LoHill yet? The street grid seems fairly settled upon through the feds, but the rest may be TBD. The Lower Hill is zoned as a specially-planned district (“SP District”). That means zoning in any detailed sense is really set with the approval of a Preliminary Land Development Plan (“PLDP”). The Penguins were going to submit their proposed PLDP late last year, but as you know that plan met with community objections so they have held off. Apparently they are now planning to submit their revised PLDP shortly. That proposed PLDP may still be subject to further negotiation and modification, but once it is approved by both the Planning Commission and City Council, the Lower Hill will finally have detailed zoning. One big issue will be the street grid. It is not set. The Pens current plan cuts off (some say intentionally) complete direct access from the 28 acres through the lower hill. It shouldn’t. It should be a complete grid that connects and integrates both areas. I’m not sure what you mean. Right now the plan is for Wylie to be a new through street. Across from Webster will be a new public alley/steps path that connects to Street 4, and there is another new public alley/steps path between Wylie and Centre that connects to Street 3. Off Bedford there are turns for Streets 1 and 2, and yet another public alley/steps down to Street 4. Off Centre there are turns for Streets 1-3. So that is a lot of access points as you are coming from the Hill side. At a guess, you may be objecting to the use of public alley/step paths at a few locations. However, if you look at the site in three dimensions, the reason for those particular routes being that way becomes apparent: there are dramatic elevation drops in those areas that would make it very difficult to do normal streets. And personally, I don’t think you need car access along all those routes, as long as they are walkable (and bikeable–I think those paths should include bike ramps integrated into the steps). I only read the comments on the PG when I want to despair about life. But I really like the changes for the bike lanes around Phipps. The road was too wide before. So many people drive like idiots when they see that much space. The PlanPhilly blog has been doing a great job covering the biking confab going on in Pittsburgh this week. It has been highlighting Bill’s rather combative stance vis a vis bike infrastructure implementation, even going so far as to unfavorably compare the ACDC to Bike Pittsburgh, leading Scott Bricker to do some emergency CYA’ing. Hope the take-no-prisoners approach doesn’t backfire. One interesting moment from the speech: after promising to leap-frog other cities’ bike infrastructure gains, the Mayor reminded attendees about the importance of politics, and counseled advocates to run primary challenges against politicians who don’t support a livable streets policy agenda. “[In the mid-90’s] we were ranked one of the five worst cities for cycling. Today we ranked the 21st best city for cycling. But I gotta tell you something – we’re Pittsburgh! We’re not happy about being 21st. We want to be in the top 10 in the next 5 years, which means we are going to leapfrog you. You have been ahead of us for a while, but we’re going to create programs now and models that you’ll want to take back to your cities. Addendum: BikePGH Executive Director Scott Bricker writes in to clarify that Mayor Peduto did not mean BikePGH literally supported his candidacy – they can’t, they’re a 501c3. 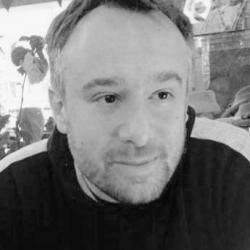 Rather, he was crediting BikePGH with helping shape the political environment in which a candidate with his views on streets issues could be elected citywide. The problem with the bike lanes is that Peduto didn’t ask anyone. He listened to a specific special interest group (remember, bike special interests paid for his trip to Denmark) and then implemented like a dictator. He didn’t ask a single person or business owner along any of the routes if they objected. How is that “bottom up” planning? Seems the biggest top down approach in Pgh’s history. I’m not saying bike lanes are a terrible idea. What i am saying is that if you simply listen to special interests because they have a big conference coming up and don’t ask any of the citizens it spells for bad planning. Why not have implemented a public process to say that Pgh wants to have dedicated bike lanes and then hire some planners and have public meetings? Isn’t that what “campaign Bill” would have wanted? What happened? If this is what we are in for with Bill count me out. What’s the normal process if they want to do something like change a traffic signal, alter a lane designation, or so on? Whatever that process is, the same process should apply to bike lanes. Why should it be the same process? I’m not saying i disagree, just want to know why you come to the conclusion. I would argue it is more akin to taking out a parking lane in a business district or turning a two way street one way in a residential. If you lived on or owned a business on a street in that scenario, would you want input/notice? My basic thinking is that cars and bikes are already both allowed on city streets, so the decision to create a bike lane is not a fundamental change in use but rather a change in how to regulate the existing uses. That is what makes it the same sort of thing in my mind as changing a traffic signal or a lane designation. And using the same logic, I wouldn’t think any of that was fundamentally different from removing or adding a parking lane or changing the direction of travel on a street or lane. So is there a different notice/hearing process for some of these things versus other things? And what are those existing processes? For example, what process have they been using as they have been redoing the former Penn Circle streets? Easy – Penn Circle was done as part of an approved community plan led by ELDI and including lots of stakeholders. So is there always a governing community plan before street changes? Another possible example–CMU has been installing new smart traffic lights at various locations in the East End. What public process is being used before those are installed? URA wants a McCaffery/Rubino hybrid approach to the Produce Terminal. Sounds like a good idea to me. I wonder if the Rubino portion would remain publicly-owned. So if Rubino’s plans involve a public market, can the Strip support two of those? What does that do to Penn Ave business? Generally, thumbs-up to Ferlo’s concerns. Also – anyone want to make McCaffery pay real estate transfer taxes, please? Let’s hope this administration isn’t going to shrug that away, but it looks like they have so far. There is not much to the existing public market, and in fact it moved over from the Produce Terminal. I would think those vendors could move right back. I don’t think a public market will necessarily substitute much if at all for the Penn Avenue businesses. They tend to attract a somewhat different sort of vendor, and of course the total size of the pie is not fixed. A successful indoor/outdoor public market could in fact benefit the Penn Avenue businesses if it drew more people to the area. I”m more concerned that the fix was clearly in for McCaffery. Despite the fact that they just cheated the City out of millions of dollars Peduto is going to give them public land and millions in pubic money. What a sham. Two developers is ridiculous. Why not just go with Rubino and have Rubino sub out someone to do some apartments? That would make the most sense. This was clearly fixed for McCaffery and then a bone was thrown to Rubino – which will drop out by the end. Keep watching. Where is the story though about Peduto taking $700,000 of taxpayer money to buyout someone he didn’t like to bring in his own team. It is well known in Grant Street circles that he is doing this all around town. He is buying out developers and contractors to get rid of them to cut all ties with Ravenstahl era deals. He is even known for last year saying he had “guys from Chicago” who would do the Terminal building. It is high time the FBI start investigating these guys. The pile is deep but the press just hasn’t caught on yet. Anon 8:47 – I thought the chatter was if a “fix” was in, it’d be for Rubino, right? Pfaffman? East end cocktail parties? Thought that was the cynical story. The city saved 1/3 of the building or 2 city blocks worth of it for that $0.7M. You may not think it’s worth it, but that’s a very tangible exchange. And if Peduto is “buying out” Ravenstahl-era partners more generally again we can debate the wisdom but that would be legal, wouldn’t it? Breaking contracts would be illegal, buying them out sounds proper. So why should the FBI investigate? Poetic vengeance? I don’t think you need a “fix” to explain going with basically the highest bidder, who your consultants also recommended. I think you are more arguing that McCaffery should have been disqualified as a result of questions over the Cork Factory deal, but unless you have a determination that they actually did something illegal, that is probably unwise, and potentially a due process violation. My reading of the decision is that either McCaffery or Rubino could potentially end up with the whole project if they convince the URA they can do the hybrid project the URA wants on their own. But it seems likely to serve the URA’s and the public’s interests to have them continuing to compete for now, and in fact if it ends up being a combination of both, that seems fine to me. The Produce Terminal is a big enough project that thinking of it basically as multiple parcels for which there could be multiple developers is not inherently a bad idea. Finally, I have no problem with the Peduto Administration buying out any bad deals the Ravenstahl Administration made. There were a lot of deals that either weren’t bid at all, or where the bidding was very fishy (like what happened with the Saks site, where the winning bidders tried to materially change their proposal after winning, and the Ravenstahl-era URA said, “no problem, cool with us!”). Funny how you guys want due process and final determinations of illegality when it is Bill making bad decisions. Did anyone happen to notice that the grand jury found nothing wrong with all the stuff they investigated? Do you know how easy it is to get a grand jury indictment? The bar is pretty low. That means all the crap Bram and Bill and Doug and the rest of cronies moaned about was completely false. Complete BS. It was all about smearing someone so that they could gain control of the purse strings and hand out deals to their friends. And Bram, no, the story does not mean that the fix would be in for Pffafman. The fix would be in for the elite of the elite – Hammel and McCaffery. Pffafman is just an agitator often serving those interests and trying to catch a gig himself. And yes – using public money to buy out a contract just so that you can switch gears is illegal. These are contracts between the public and private citizens. If you don’t think so, keep reading the paper the next few years because there will be a few more grand jury’s and your arrogance might mean a different result. Wouldn’t that be ironic? Was Buncher the only true-blue joe six-pack working man’s developer or something? It sounds like you can’t help but judge the four Produce Terminal bidders based primarily upon who they are, rather than anything else. That’s the very tendency which gets people in dutch with prosecutors. Buncher is hardly joe six pack developer. No love lost for them. No resentment either. Just wishing we finally had a clean living Mayor. Arrogance got Luke in trouble and it will get Bill in trouble. We have a long way to go my friends. I’m the one who mentioned due process above, and I don’t recall posting much if anything about what I thought about the grand jury investigation. Start with this. On what theory was Buncher entitled to $650,000? They had an option and didn’t exercise it. Start by answering that question and it will lead you to the answer to yours. I have not looked at the documents, but I understand that Buncher had a lease and an option to buy the Produce Terminal, and it was modified and extended at least once (to give time for the subsequent bidding process). Assuming that this lease was still ongoing and/or that option was still exercisable, Buncher and the URA could negotiate a cash buyout of those rights. You’ll have to explain to me what is illegal about that. Ordinarily there is nothing illegal about negotiating a purchase of property rights, and ordinarily that doesn’t change just because the purchaser was the one who originally granted those property rights. Buncher didn’t not have a lease. They had an option to purchase. Typically people pay for an option to purchase property. If they fail to exercise that option within a proscribed period of time the option is gone. Thus, all the URA had to do was wait for the option to expire. It is pretty rare, perhaps non-existent, for the seller to pay the holder of the option. Add in the element that it was taxpayer money and we have a problem Houston. Was Buncher permitted to put its hat in the ring with the consultants that were evaluating proposals? Why was the Buncher plan not part of the process? Perhaps the answer lies in the fact that they were bought off and told to stay out. Second, what if Buncher actually exercised the option? It actually isn’t at all uncommon for people to buy back purchase options when circumstances change and they decide they would rather keep the asset in question. Third–how again is any of this illegal? It hasn’t escaped my attention you have yet to actually explain exactly what legal violation occurred. You are either uninformed or intentionally dodging. Buncher did not submit a proposal along with the other three. The analysis was simply done on their existing proposal. To be crystal freaking clear – the illegal activity is that the administration told Buncher they were out. They were not allowed to be in the running. To get them to shut up the URA paid them off. It was done in the exact form to get apologists like you to have a sliver of bs to hang on to to make the excuses you are making right here. But let me be clear, the Peduto administration brought in their friends, promised them the deal, and paid off Buncher with public money to get out. Buncher had the right to exercise their option. Why didn’t they do it? The historic designation failed. They could have done exactly what they set out to do. Why didn’t they? Because they got bullied and threatened and then paid off. Plain and simple. The authorities will investigate. Anon 8:32, do keep holding your breath that you’ll ultimately be given much stronger material than you’ve got now: a long series of assumptions built around your projections. As Bram suggested, you are now trying to build a case based on assertions of facts for which there is no public evidence. For example, how do you know Buncher could not have submitted a new proposal in response to the URA’s RFP if they had wanted to do so? And in fact there is a very simple explanation for why they did not: the URA stated in the RFP that historic preservation was going to be a criterion, and otherwise made it clear they would prefer a plan that did not involve destroying a large portion of the building. Meanwhile, Buncher’s existing plan depended on their being able to destroy a large portion of the building to make room for another development site, and they had repeatedly stated throughout the historic review process that they did not believe that they could do a financially viable project if they were not allowed to create that new development site. They also stated they did not need to do the Produce Terminal project to do the rest of their develoment. All of which also explains the buy out. Buncher’s lease and option had been predicated on the assumption that the City would approve Buncher’s plan to destroy a large portion of the building. You are right that because City Council overturned the HRC’s recommendation to designate the Produce Terminal, Buncher technically could have tried to force through that plan, but they still would have run into the need to get City Planning approval, and likely zoning variances and so forth. Since by their own admission they viewed the entire Terminal project as financially marginal, it makes perfect sense that they would accept a modest buy out rather than insist on exercising their option. That was the point of the RFP process, which Buncher actually enabled by agreeing to extend their option date: if in fact another entity emerged that was willing to do the whole Produce Terminal on the URA’s terms, Buncher was willing to walk away for a modest payout because it didn’t want to do such a project and didn’t need to do its own original project. And the virtue of this alternative explanation for what happened is that it is all based on publicly reported facts, including Buncher’s own statements throughout the process. Classy move, B to the C.
Here is a crazy thought: Buncher’s statements to the paper, which goes along with all the other statements Buncher has made to the media throughout this process, just mean what they say, and do not require reinterpretation by anonymous Internet commentators. And to the extent there is a subtext, it is just Buncher trying to make sure there is no blowback from the URA buying out their lease and option. Of course it is also possible that way back before there was an option buyout, or a new bidding process, and even before Peduto won the election, Buncher had the foresight to start laying the groundwork for the cover story that Buncher would eventually reluctantly need to offer in order to keep Evil Genius Peduto happy. Wait, on second thought, that isn’t plausible at all. Anon is actually a pretty good example of the kind of reasoning that lead me to be a big Peduto supporter. Sometimes it seems like there’s nothing there but resentment, counter-accusations, and personal grudges of people who have been fighting for longer than I’ve been alive. Are you talking about Peduto? That seems to describe him exactly. I’m not a big fan of Ravenstahl, but becoming even less of a fan of Peduto because of people like you who have blinders on. If it makes you feel better, I have an over-developed sense of irony and I enjoyed your comment more than nearly anything else I’ve read today. Nothing politicians do makes me feel better or worse. I just try and call out the facts as I see them. I try and stay out of the mix with these people, they are pretty much all the lowest dredges of life. Seriously, what did Peduto or Ravenstahl ever do with their lives outside of being a local politician? As they say, if you lie down with dogs you are going to get fleas. Speaking of infrastructure, does MGG still lurk here? Because the storm drain at the corner of Murray and Lilac (the one by the Giant Eagle) has really eroded. I know somebody called it in, because there are PWSA cones out there. But those have been there since summer and it has gotten a fair bit worse. The opening into the drain is now big enough for a kid to fit down and there’s nothing supporting the asphalt for a good foot or so past that. Are you on Twitter, MH? I know it’s trite but it seems like that’s been a good way to pursue these things: it’s so “out there” for everyone to see and hold parties accountable. I haven’t tweeted for over a year or so. And mostly I just tweeted bad puns. I’d get Pat Hassett and the Greenfield Community Association on it. Also, Doug Shields was raising Cain this past year, from outside the inner circles, about car-swallowing depressions and under-street erosion around Minadeo School. And of course, there’s always Corey. My big issue with the Pens plans, now that they are officially out, is that it is pretty clear that they have “protected” the residential areas from the lower hill. Look at the plans. The only thoroughfare that goes through the 28 acres and lower hill is through the commercials section. Why isn’t the street grid connected on residential? Seems intentional and offensive. My literacy when it comes to PLDP’s is suspect, but please provide a link to the plans (not just artists renderings and prose, but actionable proposals). What you suggest Anon 9:06 plays into my greatest concerns. It may be worthwhile to reconstruct the Penguins’ submission in a format that is neutral and very easy for all to comprehend. This is the biggest thing we’ve taken on since sliced bread. It is in fact the same plan–there are a lot of pedestrian paths planned on the alley/steps model into the eastern residential portion. If it is like the last draft PLDP, there should be a more or less full set of pedestrian connections into the residential section via alley/step pathways. As discussed above, the main reason for that approach is that there are such severe elevation changes on the eastern portion that providing motorized vehicle pathways (versus using steps) would be very difficult. By the way, some of my favorite European city centers have a lot of steps like that. It can be very charming and walkable, and the lack of through paths for motorized vehicles can be a plus rather than a minus. We were sold on this plan by “reconnecting the street grid,” not by we might have some “steps into the development.” Streets are what connect communities and allow businesses to flourish. I don’t understand why all the streets don’t connect. That is what we were told and sold and quite frankly what should be done. Since at least 2010, when they first revealed a somewhat detailed plan as part of the Civic Arena review process, there has only been one through street all the way (Wylie), and even that did not extend all the way into Downtown (it ends at Washington). And in fact since at least that time, people have been arguing about how to put into practice the rhetoric of reconnecting the local grid, so I do not think there has ever been a universally-accepted agreement on that issue. I agree most retail businesses in the U.S. specifically want car access to their front door. Of course malls and such are counterexamples, and I do think a lot of European cities provide examples of pedestrian-only zones that work out quite well for businesses–we just have a habit of executing them poorly in the U.S. But in any event, while pedestrian-only zones are a tough sell for U.S. retailers, we are talking about the residential portion. And there I do not think it is at all clear that car access specifically along every part of the grid is necessary for a residential community to thrive. Indeed, cars are not necessary or advisable for people who only want to go a few blocks–it is a failure of the traditional post-WWII master-planned subdivision that you can’t get anywhere without a car, and we are trying to change that with walkable urban plans. So if what you are imagining is people moving from the few blocks closest to the development into the development, or people in the residential portion of the development moving into the mixed use portion of the development, then you really don’t need to be thinking in terms of cars–you should be thinking in terms of walkers. Even so, not all proposed pedestrian paths are really attractive for walkers. But just to make sure everyone is on the same page, people should look at Section 3.11 of the draft PLDP (Page 54), which describes the sorts of alley/step paths they have in mind. Those do look like the sort of pedestrian paths walkers will find attractive. Finally, I think we should have a clear understanding of why this is a natural idea (not a conspiracy of some sort). If you have never done this, I would advise walking up Centre from Downtown, then up Crawford to Bedford. What becomes clear is that in that northern/eastern portions of the site, there is a much steeper natural slope than in the lower portions of the site. The site currently deals with this by laying out the parking lots in a series of shelves, with steep transitions between them. You could try regrading the whole site to eliminate those steep transitions, but you would still necessarily end up with some street sections that are quite steep by modern standards. If it was really the top priority to have car access along every single path, you might just put up with that, but I think we should be very careful about assuming that would be best for walkers, who typically benefit from having more level sections combined with steps, rather than constant steep slopes. Call me crazy, but I think protected bike lanes should be part of this “Reconnection Agenda”. Bikeshare stations are already planned for the top & western bottom of the Hill (thank you Luke!). To the extent that wonderful planters along the sidewalks are such a big part of the Pens’ development, we might as well protect the bike lanes with their planter lanes, as is ideal. In an old city like this we don’t often get the opportunity to paint from scratch! Green planning is all the rage these days, which I applaud. In fact a lot of those green spaces are basically green roofs over parking, which is great. Totally agree about beefing up the bike infrastructure. Among other things, I’d like any steps to incorporate Dutch-style wheeling ramps. By the way, to put in a request: I’d love to have a conversation started on Point Park’s Pittsburgh Playhouse project, which just got a $5 million grant from the state. It is really a quite terrible project: they want to destroy three historic buildings along Forbes, which would be wonderful if re-used for stores or restaurants (like the Penn Avenue Fish Company did), as that would help bridge the gap between Market Square and the “grand boulevard” the City wants to create on Smithfield. And Point Park wants to do this for a low-rise academic building, which will contribute extremely little to the vitality or economy of the City. They are trying to sell this as an important cultural asset, but it is really just a student theater, which only gets about 40,000 non-student visitors a year (which is far less than, say, even a single restaurant would get). Overall the project would take up about the same amount of land as PNC Tower, including two open lots along Forbes and Fourth. So even if preserving the historic buildings, or at least the facades, the land could instead be used for a mixed-use project that could add offices, residences, and/or a hotel that would collectively have far more impact than a low-rise academic building and student theater. So why is the state actually subsidizing this terrible project? And where is the City on this? This is actually a worse case than Buncher’s proposal for the Produce Terminal, and yet so far Point Park seems to be sailing along with government support. What’s the next arena in which the Playhouse project will be vetted? At this point, its proponents will get to lean on the argument that “it’s free money that will go somewhere else if we don’t use it,” which historically does pretty well. Demolition was already approved, even though the complete Playhouse plans are still not fixed (and not public). An historic nomination would be one way to stay the project, and on the merits such a designation would be a slam dunk. The problem is that as we know from the Produce Terminal process, an easy case can get through the HRC and City Planning, only to be reversed by City Council.